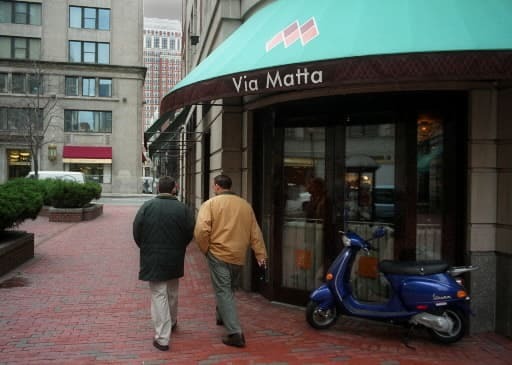 Boston’s Back Bay neighborhood is well known for its famous and exquisite restaurants, and Via Matta on Park Plaza is no exception. With seasonal ingredients and traditional Italian recipes, Executive Chef Andrew Meyer is able create a taste straight out of the Mediterranean. There are choices like chilled shellfish salad with citrus, blood peach bellinis and antipasti di margo, but the menu changes every day, so guests will never know what delicious dish may be offered next. Designer Appliances talked to Meyer about what it’s like to be a chef and what appliances he wished he could have at home. 1) With all of your access to professional cooking appliances when you work – what do you love in your own home? I like that I have a washer and dryer in my apartment. Being a cook and a chef is both mentally and physically draining. On my days off I don’t want to do much of anything, nor do I want to go anywhere. So if I have things to do like laundry, which is typical since I have no time the rest of the week, it’s nice that it’s in my own home. 2) What can you not live without? Probably my cell phone, but not because I’m obsessed with technology. I use it for more practical uses, especially work-related things. I can keep in contact with purveyors, employees and other management. I also like listening to music when I’m on my way to work. It’s a way for me to sort of chill out and relax before my 12 hour days at work. I call it “Andy Time”. 3) What appliance would you own if price and space were not a consideration? I can’t really bring it down to one appliance, but if I had the money I’d put a professional grade kitchen in my house with all toys to go along with it. It would be my own little research lab for cooking. Plus, then I can cook for friends the way I do at work. Sometimes it’s hard to produce the restaurant level food without the appliances. 4) Could you provide a specific example of one of the “toys” to go along with your professional grade kitchen? If I could have one piece of kitchen equipment it would probably be and immersion circulator (sous vide cooker). Only because the uses are immense, and if done right, the end result is a perfectly cooked product.